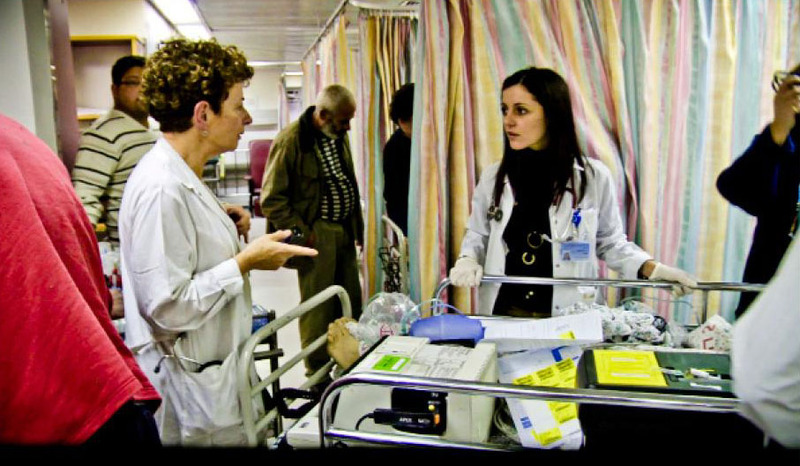 Dr. Stalnikowicz moved to Israel from Chile in 1973 just six months before the military coup. She found work at the hospital, fell in love with it, and has never left. She doesn't find it difficult to work at the hospital on a personal level, but the geography makes it hard for both sides to communicate. As one patient puts it, everyone suffers in the hospital, regardless of which side they're on. Sometimes, Israeli soldiers arrive, creating feelings of antagonism, or what Dr. Stalnikowicz calls "silent violence." 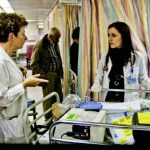 Patients from the occupied territories are often carried in by family members because ambulances can't reach them. There is talk of Dr. Salameh running the ER in the future. Dr. Stalnikowicz tells Dr. Salameh that she wants to leave behind someone who can do good things, but Dr. Salameh isn't sure she would be comfortable after Dr. Stalnikowicz left. She also doesn't think she would be given the opportunity because she's Palestinian Israeli. Dr. Stalnikowicz wishes that the hospital could serve as a microcosm for Israel. Dr. Salameh laments how far from reality that is. The two women drive home at the end of another day at the ER. 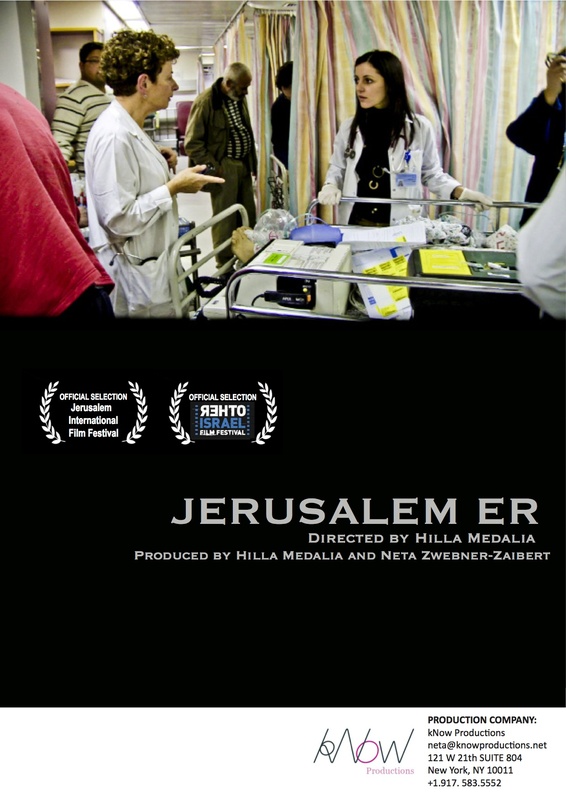 JERUSALEM ER moves beyond bigotry and daily difficulties to expose an irrepressible dedication to providing equal heath care to Israelis. The hospital is proof of the capability of people from various beliefs to exist under one roof with a common goal in mind. Ultimately, the story moves deeper than the personal encounters of doctors and patients, as the internal frame of the hospital shows how differences can be set aside for the well being of all individuals.